Haselden measures success by how well we fulfill our customers’ needs, how happy our team members are, our reputation in the community, and how our achievements are recognized in the industry. 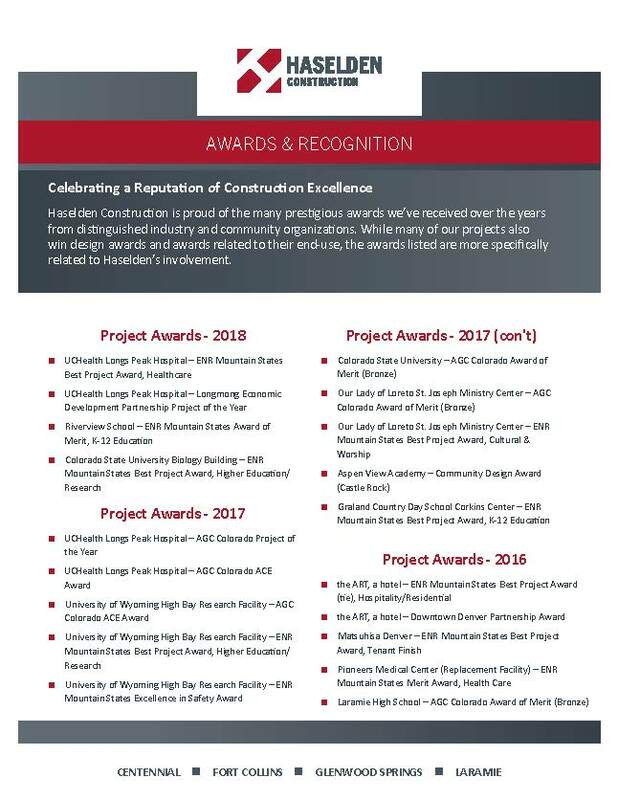 Throughout our four-plus decades in business, we have received dozens of accolades – for our projects, our company, and for our individual team members. 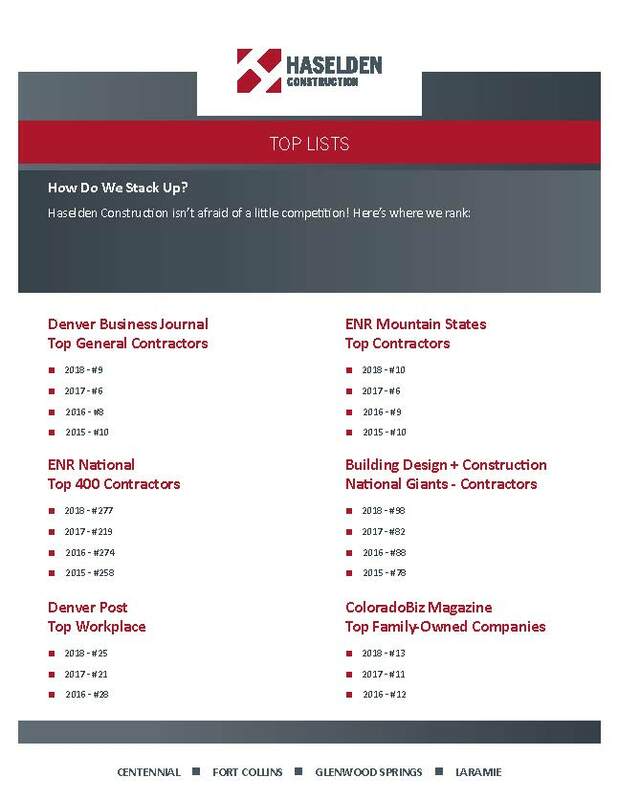 In 2014, we were recognized by ENR as the Contractor of the Year for Colorado and Wyoming; this honor is one we intend to pursue again. We’ve been recognized by organizations such as NASHE (National Assocation of Health Services Executives) for our “outstanding contribution to support, promote and advance the NAHSE Greater Denver Chapter which is “dedicated to the advancement and development of black healthcare leaders.” Haselden has also received numerous safety awards; most recently we took home 2nd place in the Associated General Contractors of America‘s National Construction Safety Excellence Awards. How do you think Haselden is doing? We would love to hear from you!